Brian will soon be rejoinng the workforce! It won't be easy for him, but he's motivated, capable and positive enough for such an important step! And a large part of it is thanks to YOUR love and support over these past few years! This is just the beginning of the reward for all your attention and resources you've sent Brian's way. From the bottom of our hearts, thanks! 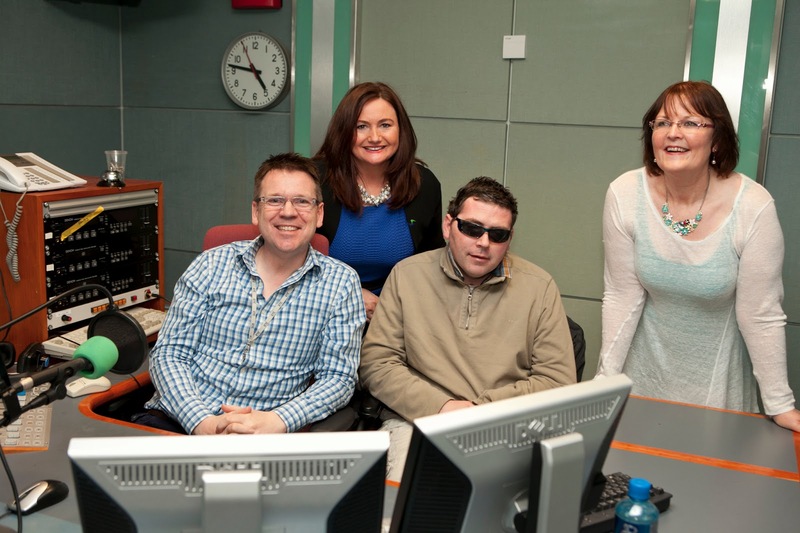 Here's the full text of RTE's comment's on Brian's "Job Shadow Day:"
In conjunction with the IASE (Irish Association of Supported Employment), RTÉ was delighted to be part of Job Shadow Day on Wednesday 24th April. This national project brings people with disabilities together with local employers for one day, affording participants the opportunity to explore a chosen field of work by “shadowing” an employee with the overall objective of promoting equal employment opportunities for people with disabilities. Visiting RTÉ yesterday were Brian Hogan from Limerick and Aaron Richardson from Co.Wicklow, both of whom are keenly interested in a career in Media. 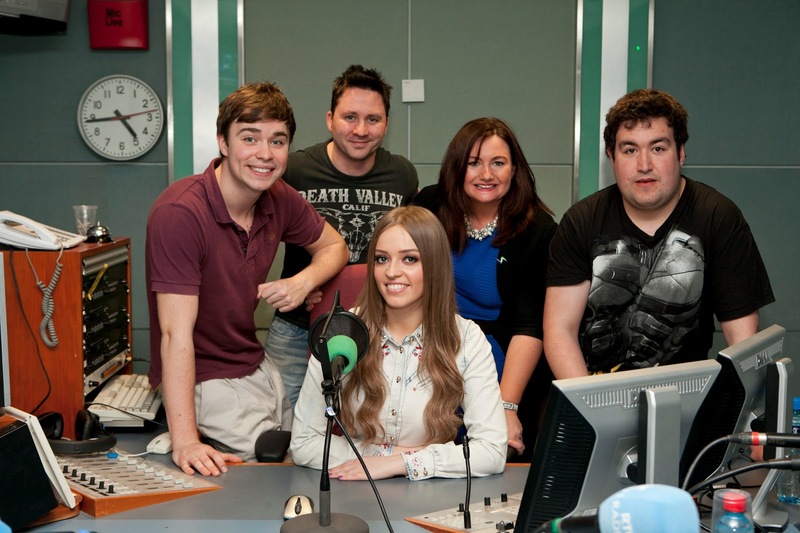 Brian, who wishes to specialise in Radio broadcasting, went in to The Mooney Show to spend the day with Derek and the production team. 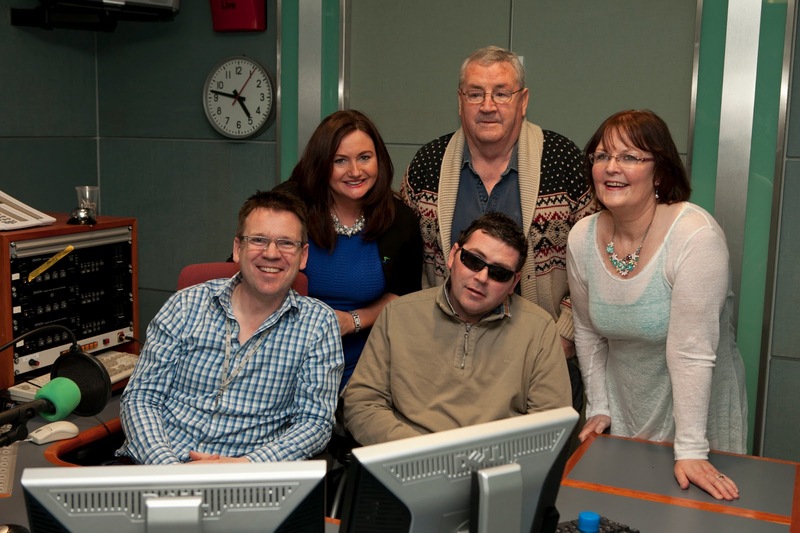 As a graduate of UL, Brian had been working in England as a quantity surveyor for nine years when, in 2009, as the result of an unprovoked attack, he was left partially paralysed and fully blind. 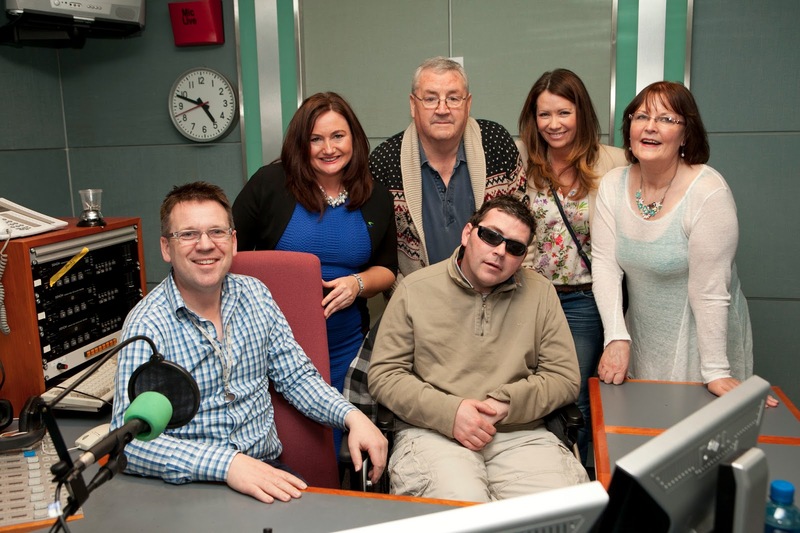 The 35-year-old is now a client of Headway, an organisation which helps people rebuild their lives after brain injury. RTÉ Communications would like to thank The Mooney Show and the Elev8 team for allowing us to be a part of Job Shadow Day and for ensuring that both Aaron and Brian had an experience of RTÉ that exceeded their expectations. 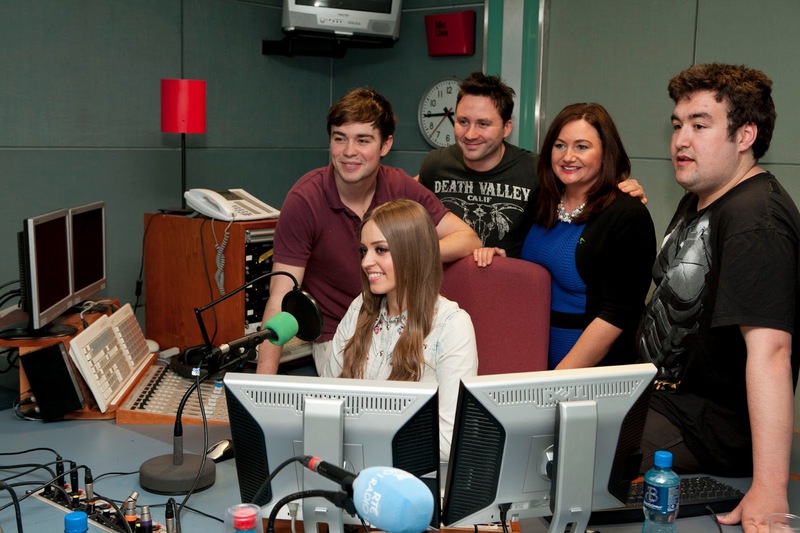 Below are some photos from Brian's interview on RTE! Thanks to everyone involved for publicizing this great opportunity for Brian! Brian Makes Headlines... and Progress... AGAIN! 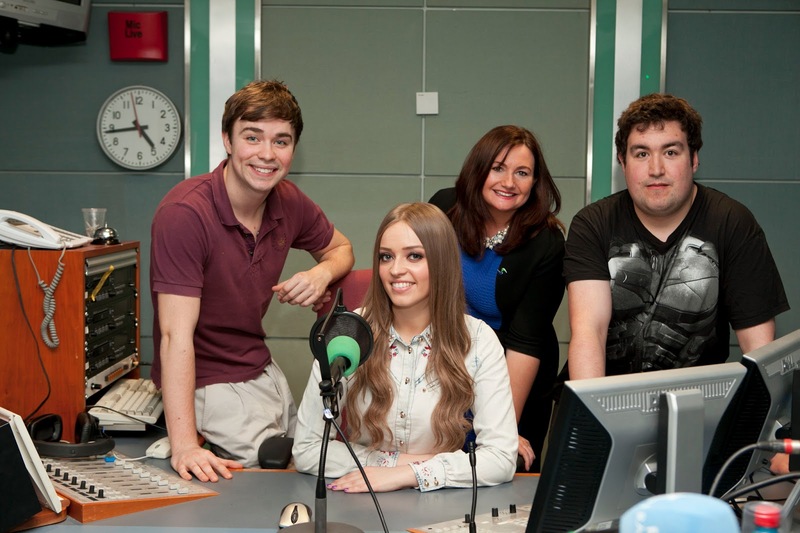 A young man who acquired a serious brain injury when he was assaulted four years ago will take his first tentative steps back towards employment on Wednesday, national Job Shadow Day - with the help of RTÉ’s Derek Mooney (pictured). 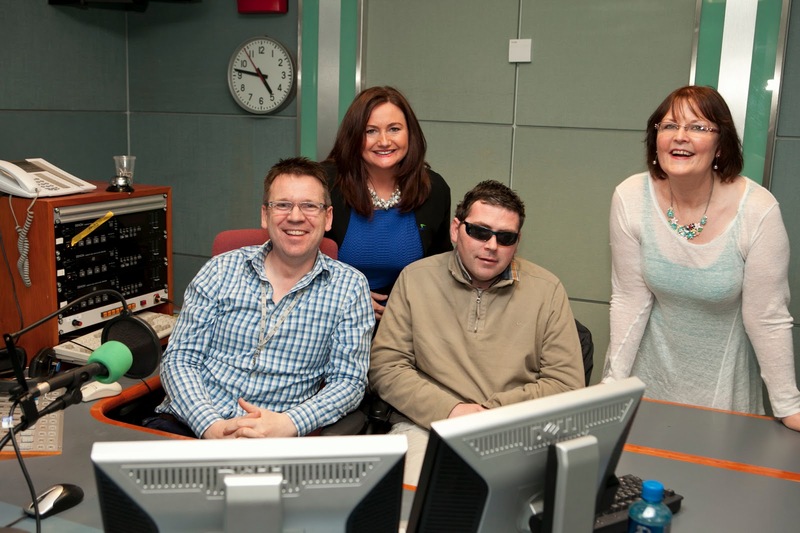 Job Shadow Day, organised by the Irish Association for Supported Employment (IASE), sees hundreds of individuals with disabilities throughout Ireland take the opportunity to shadow a workplace mentor as he or she goes through a normal working day. Hundreds of employers throughout Ireland are involved in this event to promote equal employment opportunities for people with disabilities. 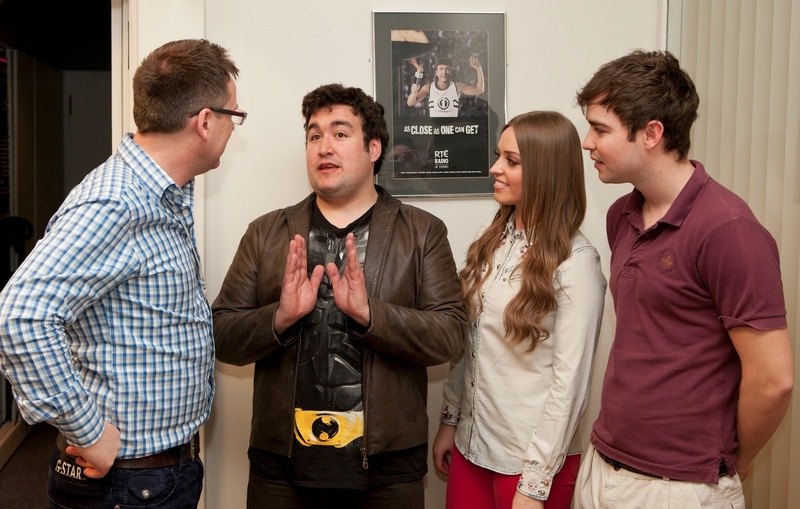 Brian Hogan, from Ballykeefe, Limerick, is spending his Job Shadow Day behind the scenes at RTÉ’s Mooney Show. 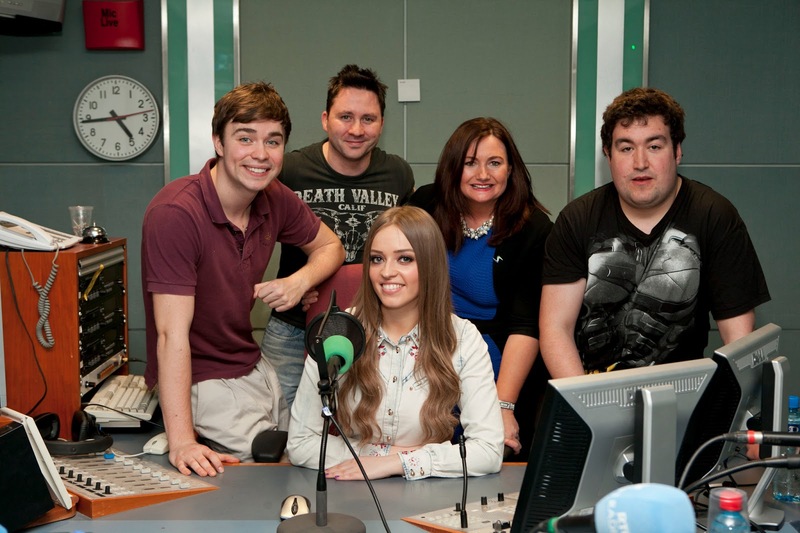 Brian, who is hoping to develop a media career, will spend the day with the show’s production team, getting a close up look at what’s involved in a career in radio broadcasting. 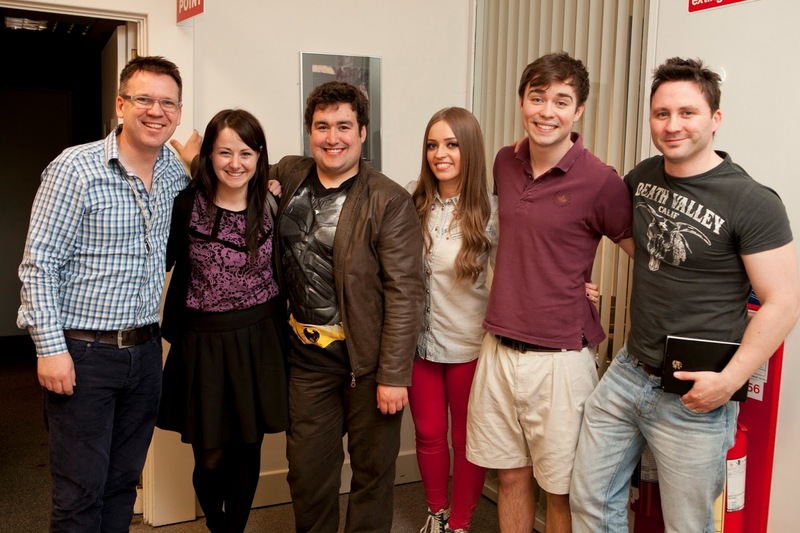 Brian, a University of Limerick graduate, had been working in England as a quantity surveyor for nine years. However, on July 19, 2009, Brian's life changed forever. 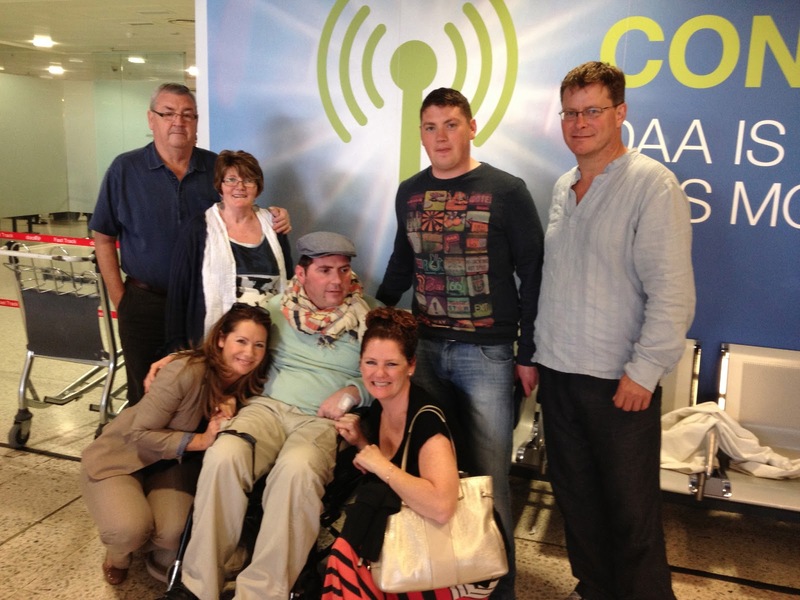 He was assaulted during an unprovoked attack which left him partially paralysed and blind. The 35-year-old is now a client of Headway in Limerick, an organisation which helps people rebuild their lives after brain injury. Brian is working with a Headway job coach in the hopes of getting back into employment. Speaking about his experience of being a jobseeker with a disability Brian said one of the main challenges is changing perspectives. "Sometimes, when employers see someone in a wheelchair or someone with a disability, they might think they’re not the full 'compos mentis', or that they’re a liability. If someone takes the time to sit and talk to you then they will see that their perceptions of disability will soon evaporate." He said he was looking forward to the opportunity of seeing one of the country’s most popular broadcasters at work and experiencing the workplace once again. "I am very excited. When you go to work, you get to mix with all types of people from all different backgrounds. As a people’s person it’s such a treat to be around people. When you’re around people you can only learn from them," he explained. Brian also praised the Job Shadow initiative. "When someone has a disability, and they are out of the normal run of things, they might lose their confidence. This confidence base is lost when you're out of employment. So if you can ease yourself back into work, it can really give you that confidence you’re lacking. Job shadow Day is an excellent way to ease back into the workforce," he said.